A package of measures aimed at deterring stationary vehicles from idling was approved at a Joint Decision Session of the Executive Member for Planning and Transport, and Executive Member for the Environment, on 7th February 2019. 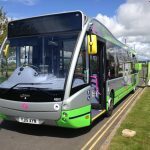 It was agreed that Council officers should be authorised to use discretionary powers under the Road Traffic Regulations 2002 to issue fixed penalty notices of £20 to drivers who refuse to switch off their engines. Enforcement will only be undertaken as a last resort with the problem of stationary vehicle idling being addressed first and foremost, by raising awareness, particularly in those areas of the city where complaints arise, such as residential areas and outside schools. A Fixed Penalty Notice will only be issued if a vehicle has been observed idling on the public highway for more than two minutes (without reasonable cause) and the driver refuses to switch their engine off when asked. 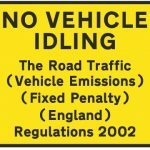 Anyone issued with a Fixed Penalty Notice for idling would have 28 days to pay. If they fail to do so, the fine would rise to £40. The legislation only applies to the public highway and not to private land, such as car parks, where the issue will be addressed in a different way. It is also not applicable to vehicles waiting in a queue of traffic, unless there’s an obvious source of prolonged delay, such as a level crossing or an incident that’s blocking the highway. Driver’s will also be allowed a reasonable period in which to defrost their vehicles to a safe level during periods of cold weather. 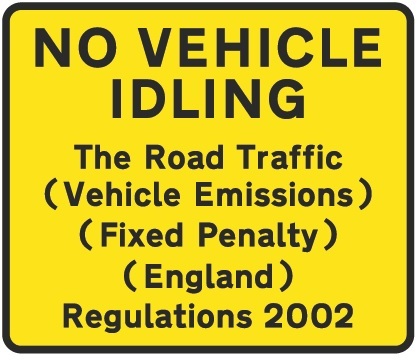 A research report undertaken on behalf of the council concluded stationary idling has no benefit for most vehicles; that it’s better to switch off the engine if idling is anticipated for one minute; that the health and environmental benefits, and fuel savings, significantly outweigh the cost of taking anti-idling measures; that most idling can be addressed by offering education and advice to drivers; and that very few Fixed Penalty Notices have been issued for idling offences by other local authorities. 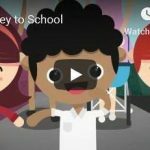 An anti-idling awareness-raising campaign will be launched in mid-2019, six weeks before the proposed introduction of anti-idling enforcement patrols, which will be timed to coincide with Clean Air Day 2019 on 20th June.